« Milwaukee Bicycle Co. hubs now in 48 hole! Championships.., of what exactly? Rumor has it there will be a $1000.00 cash prize for the overall winners. And a $250.00 bonus to the team that can knock out the CMWC Polo Champions (New York). Also a $250 for the NACCC Polo Champions (Ottawa). But I suppose this is only in play if those teams are in attendance and intact. Format is to be determined, but with three days of polo with both indoor and outdoor games, competitive and friendly. Special mini tourney hosted on Jan. 1st, teams must consist of three players all from different cities. First team to 100 goals wins. 1000$ US cash prize for winner of NYC in Madison. 250$ for the destruction of Team Doug et al and Team Stoners from Ottawa, 10$ to Philly if they even show up. The first days round robin results. Ben’s Cycle & Milwaukee Bicycle Co.
And I want to express gratitude to TrackstarNYC for sponsoring our team by covering our entry fee. 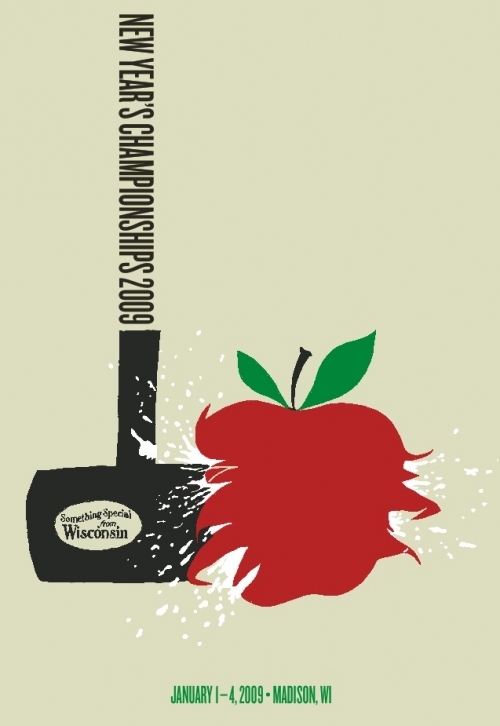 This entry was posted by Doug D on November 4, 2008 at 2:05 pm, and is filled under Bike Polo, Events-Past, Wisconsin. Follow any responses to this post through RSS 2.0. You can leave a response or trackback from your own site. There are often riots in Madison during drinking holidays so New Years would be an excellent time to go there and enjoy Wisconsin’s raucous culture. How do I find out more info about this? if i go to this, i’m wearing ear plugs so i don’t have to listen to the endless stream of BS coming out of Ben Hunter’s mouth. love ya, Ben! bump this back to the top Doug, we need as much publicity as we can get. Just confirmed that Brian from Ottawa is coming, come folks sign on. If you have a 1-on-1 tournament, we’ll donate a watch for the winner. Might consider two watches for 2-on-2 winner. What’s the team (size) format? How do we get in touch with the CMWC Polo Champ team? Hardcourt Bike Polo » Blog Archive » MAD! MAD! MAD! Hardcourt Bike Polo » Blog Archive » Did Adam really retire from bike polo?